i10 and i20 are two Indian middle cost segment cars from the house of a South Korea based car maker company in India, Hyundai. i10 was launched in 2008. Soon after its success on Indian roads the company unveiled its subsequent version with the name incremented by 10 – i.e. i20! The two hatchback cars are known for having dashing outer looks, soothing beige interiors and offering a smooth ride. However the two cars differ in many respects from one another. Let’s work out these differences. The Hyundai i10 chassis is based upon the previous ‘Getz’ car chassis but with many alterations. The increased horizontal dimensions as well as slight increase in height give vehicle added stability. The dimensions of i10 L*W*H are 336.5 cm* 159.5 cm* 155cm. The increase in the dimensions has helped to achieve ample cabin space and high ground clearance. In the i20 version, horizontal dimensions are further increased to 394cm (L) and 171cm (W) whereas the height is decreased slightly by 4.5 cm. These modifications in the design give the car a new sporty look with wider interior room than the i10. i10 comes with two different types of engines. Two of its variants – Era and D-Lite are equipped with 1.1L, 1086cc Intelligent Responsive Drive Engine (IRDE). The rest of its variants – Magna, Sportz and Asta are powered by the Kappa Engine. Both the types of Engines are 4 cylinders petrol engines. The Kappa engine empowers Magna, Sportz and Asta with greater fuel efficiency and higher performance. These have a mileage of around 15.7 Kmpl in city and over 19 Kmpl highway mileage. The former two variants have a mileage of 12 Kmpl in city and 16 Kmpl on highway. All the variants of i20 are equipped with the same 1197cc DOHC valve train type 5 cylinders petrol engine with maximum power of 80ps/5200rpm which is much higher than that of i10. i20 has comparatively lower mileage than i10. i10 has front seats air conditioner with heater facility whereas i20 also has rear A/C cooling facilities in all of its variants. The i10 version has sunroof in every variant but Asta W sunroof. i10 comes with 155/80R13 i.e. 13 inches broad tubeless tires whereas i20 has broader 185/65R14 tubeless tires and thus providing extra stability and comfort. The i20 also boasts of digital indicators to indicate the outside temperature, driving time and other useful information; these features were missing in the earlier i10 version. 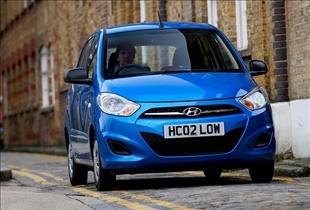 Hyundai i20 has added comforting features over i10 which takes it to the verge of being called a luxury car. The starting model of i10 costs around 350,000 INR ($7,777 approx.) while the prince range for Hyundai i20 begins at 480,000 INR i.e. $10,666 USD (approx.) Since i20 is much more luxurious than i10, its hiked price is pretty much justified for the quality ride that it provides. i10 and i20 are the same middle segment Indian road cars manufactured by South Korean company Hyundai in India. i10 is smaller and economical ride whereas i20 is a spacious and comparatively luxurious ride. i20 costs higher than i10 due to extra comforting features and added power. The information provided on Hyundai i20 car was very useful.It is always good to know that their are blogs so dedicated to providing information that is seriously concerned with the reader’s needs.Thanks for sharing your insights with us through your blog. 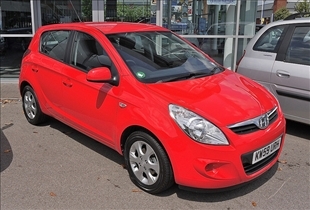 We had a Hyundai i10 for 3 months then it was sent back. Very poor construction and quality control produced a number of problems. Ignoring the build problems there was still the fact that the petrol consumption was poor for a small car. Have gone back to a Japanese car now, 100 times better !